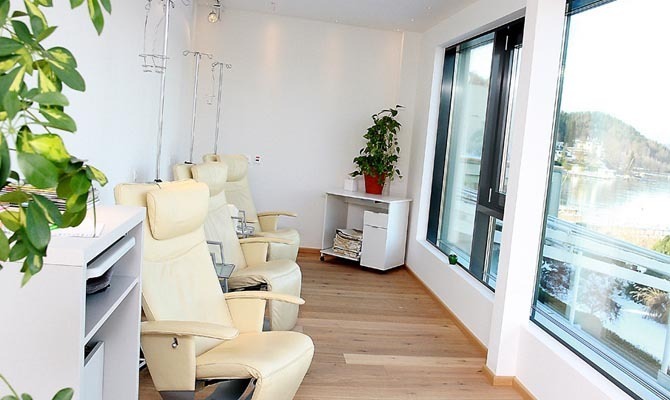 The VivaMayr Maria Wörth is a sophisticated diagnostic medical clinic, housed in a modern five-star hotel situated on the beautiful southern shores of Lake Wörth. The region is renowned for its outstanding natural beauty, and offers the opportunity for long walks or hikes, as well as many sports such as golf, cycling, swimming, boating, cross-country skiing, water skiing and Nordic walking. The structure is a true "wellness clinic"; a place to find peace and tranquillity and increase one’s perception of physical and mental wellbeing. The interior designers who were responsible for furnishing the clinic were looking for quality complements with simple and clean shapes, in line with the standards and luxury offered by the VivaMayr Health Centre, a leading international hotel for the services it offers; an oasis of peace in a welcoming and friendly environment. Specifically, the fittings that were to be installed in the bathrooms had to have linear forms and a high level of user comfort. 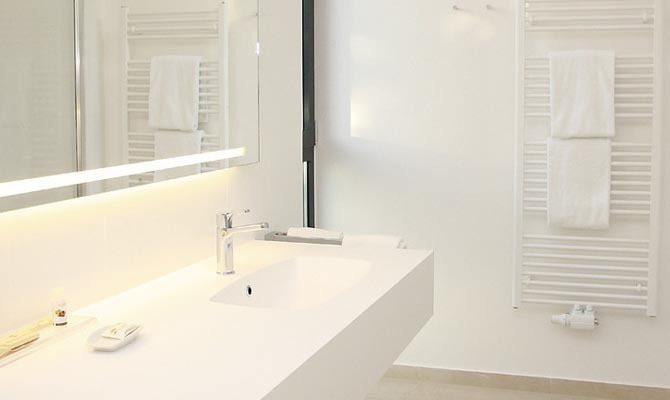 In the bathrooms of the rooms and spacious suites with great views of the lake, taps from Fir Italia’s Handy 42 collection were chosen, a range characterised by a simple, versatile and geometric design, with a cylindrical tap body and a square and slightly elevated spout. 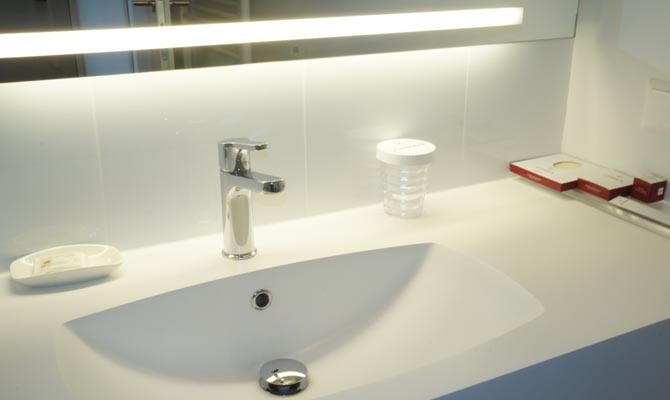 In particular, to go with the modern console with an integrated wash-basin, the designers selected a deck-mounted tap, in the 115 mm version, preferring a basin waste with a push button click clack plug to a pop-up drain and pull-rod.